Energy industry regulator Ofgem has warned the UK's big six energy companies that they will face heavy fines if they don't trade fairly with smaller energy suppliers. Under Ofgem's new plans resellers will also be obliged to publish their wholesale energy prices two years in advance, making it easier for the smaller firms in the market to buy and resell to consumers. Firms reselling their energy on the wholesale market will publish their prices each day - with two windows of one-hours available each day to submit them. Ofgem has already introduced regulations to make it easier for consumers to find the best energy deals, and with this latest change it's hoping to introduce more competition to the market. 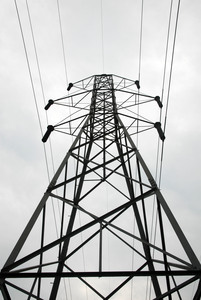 Commenting on its reforms, chief executive at Ofgem, Andrew Wright, stated: "These reforms give independent suppliers, generators and new entrants to the market both the visibility of prices, and (the) opportunities to trade, (that) they need to compete with the largest energy suppliers. "Almost two million customers are with independent suppliers, and we expect these reforms to help these suppliers and any new entrants to grow," he added. Richard Lloyd, executive director at Which?, stated that the latest measures only "scratched the surface" of the changes needed to be implemented in order for consumers to really benefit. He said: "We want a full competition enquiry so that hard-pressed consumers can be confident that the market works well for them, as well as shareholders, and that the price they pay is fair."